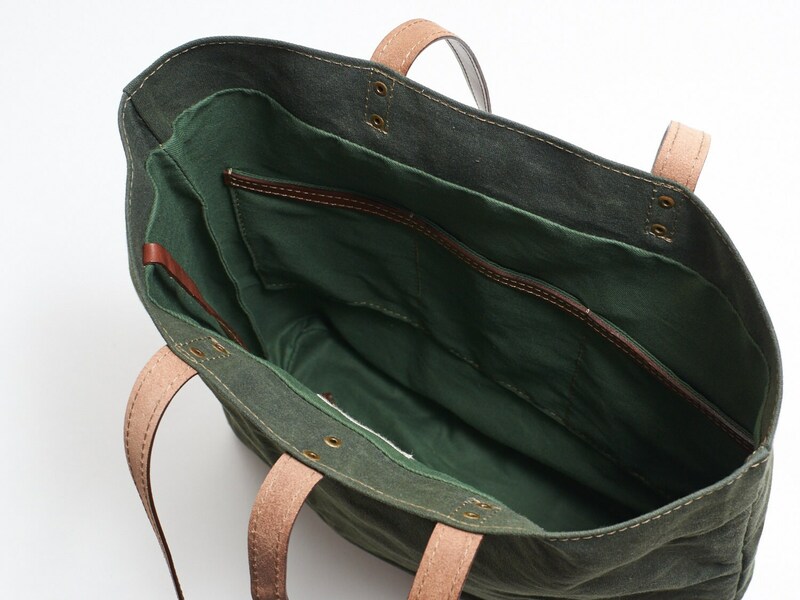 Green & brown waxed canvas tote bag. 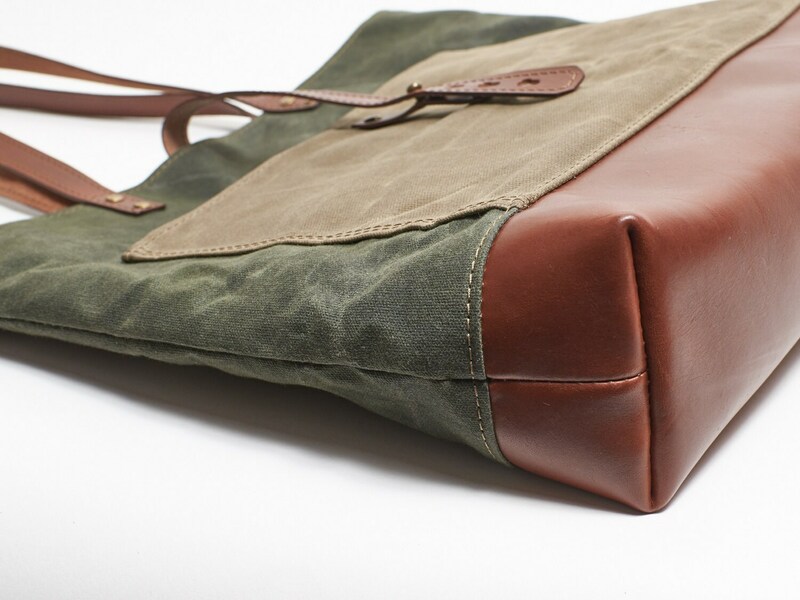 Comfortable big waxed canvas bag for daily usage. This handbag combines a simple clean design and functionality. 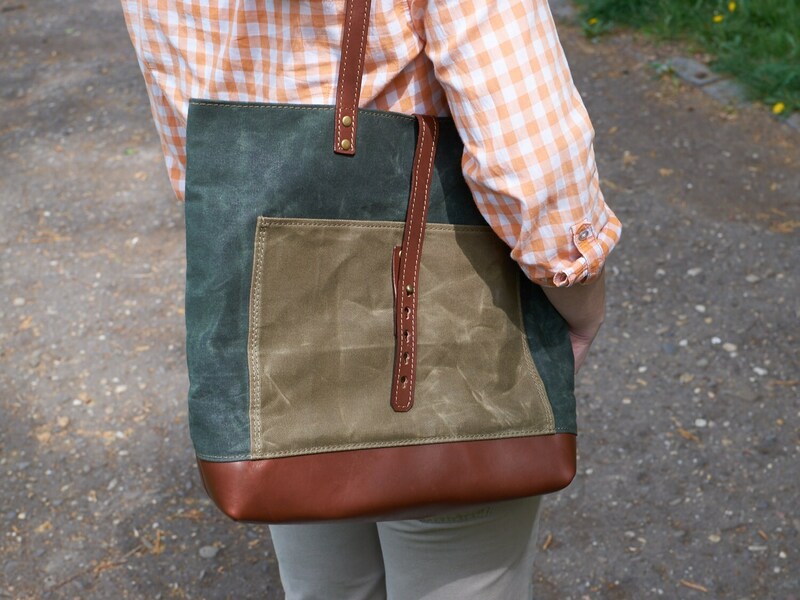 You can put a raincoat or jacket on top of the tote bag and secure it with a leather strap. 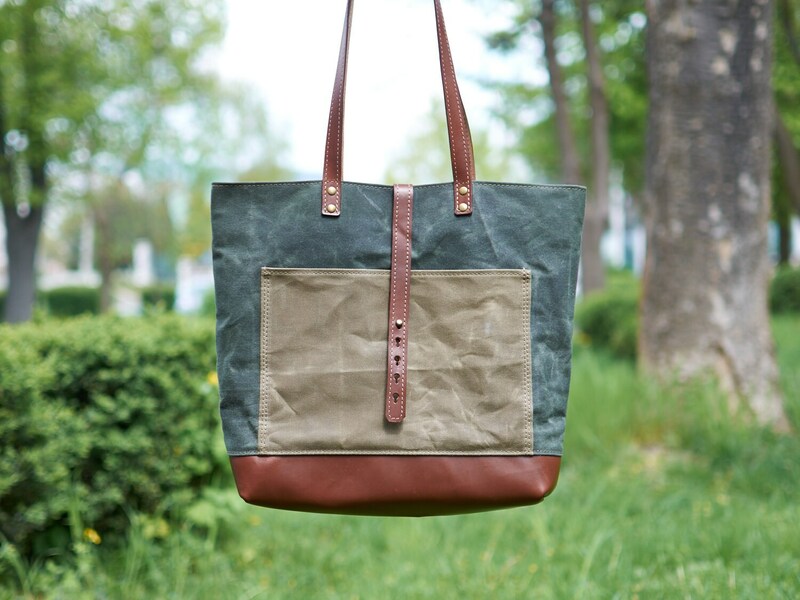 The bag made of dense canvas, waxed with natural carpathian beeswax. Water resistant and sturdy fabric that ages with a look similar to leather. 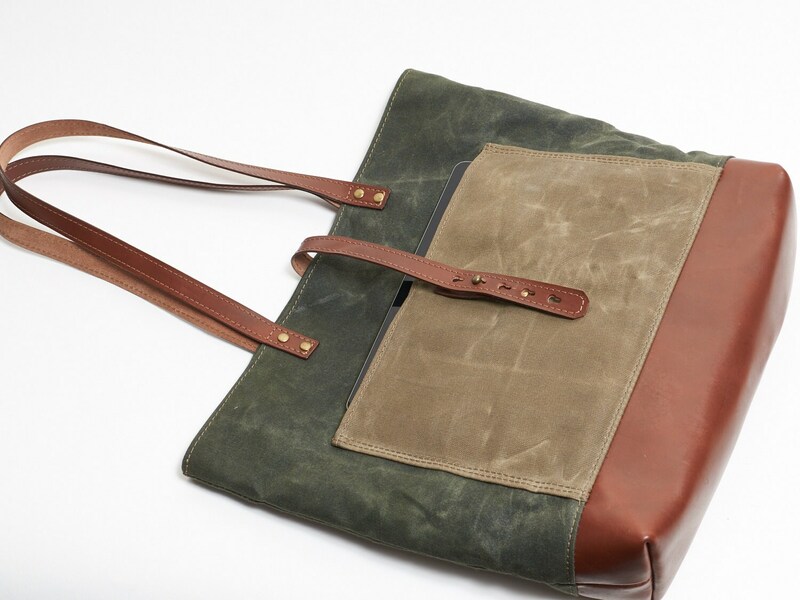 A bag's base and straps - vegetable tanned leather. Cognac colour. You can see a big pocket on the front side of the handbag. It is convenient for magazines, e-books and tablets (iPad Air for example). Tote bag closes with leather strap and ball head button. If you like this model, but not a colour, just write us. We can offer you some different colours. Just a beautiful bag. So happy with it. Thank you so much! Beautiful bag, well made, arrived quickly. Many thanks!! Wonderful! Beautifully made. Love the fabric and all the pockets.